Regular review and enhancement is an important aspect of our business. We strive to keep conveyIT Maestro moving forward. As part of this process we have updated our Tasks Due and Overdue Reports. 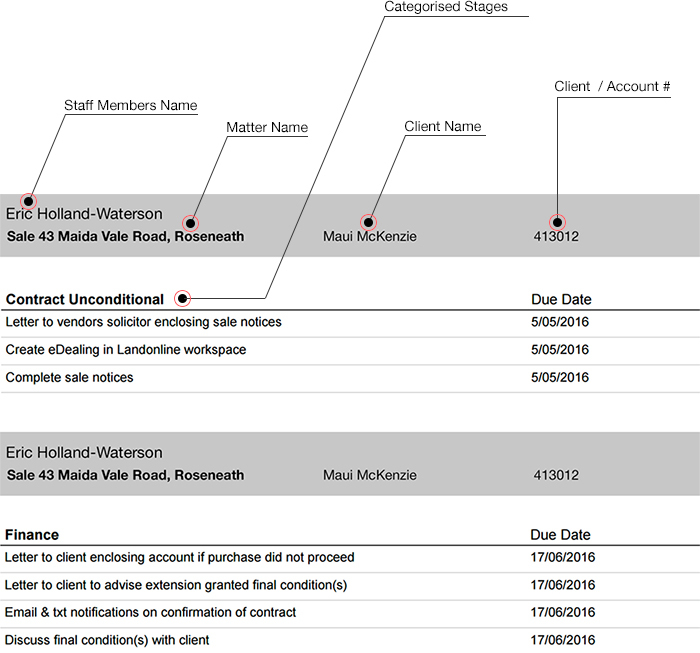 Your Tasks Due and Overdue Reports are now laid out in a much more user friendly manner with tasks categorised by client name and matter number, with the author and the matter description included at the top of each report. When generating a report we will only show you stages if they have an overdue or due task, reducing unnecessary information in your report. We trust this update will make this report an even more useful tool.